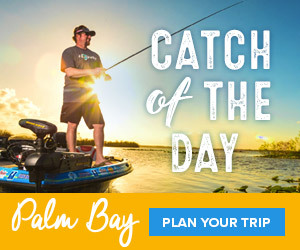 To celebrate the great outdoors and host activities designed for all levels of outdoor enthusiasts, Bass Pro Shops is proudly announcing the return of its 10th Annual Outdoor Days. Hosted across Missouri throughout the late spring and summer months, Outdoor Days offers engaging activities designed to introduce nature to new audiences including family-friendly opportunities to learn about outdoor skills, conservation and experience outdoor adventures. Participants at Outdoor Days get to experience a variety of engaging experiences including kayaking, canoeing, fishing, archery, rock climbing, outdoor cooking, live animal encounters and much more. Bass Pro Shops Outdoor Days are coordinated in partnership with the U.S. Army Corps of Engineers, Missouri Department of Conservation, Missouri Department of Natural Resources, Missouri State Parks and a host of local conservation and water quality organizations. Activities offered during Outdoor Days vary by location. The mission of Bass Pro Shops is to inspire everyone to enjoy, love and conserve the great outdoors. For more information on Bass Pro Shops conservation and community initiatives and activities, visit community.basspro.com.